What a blessing and it sounds like a happy Passover seder. Thank you for sharing. 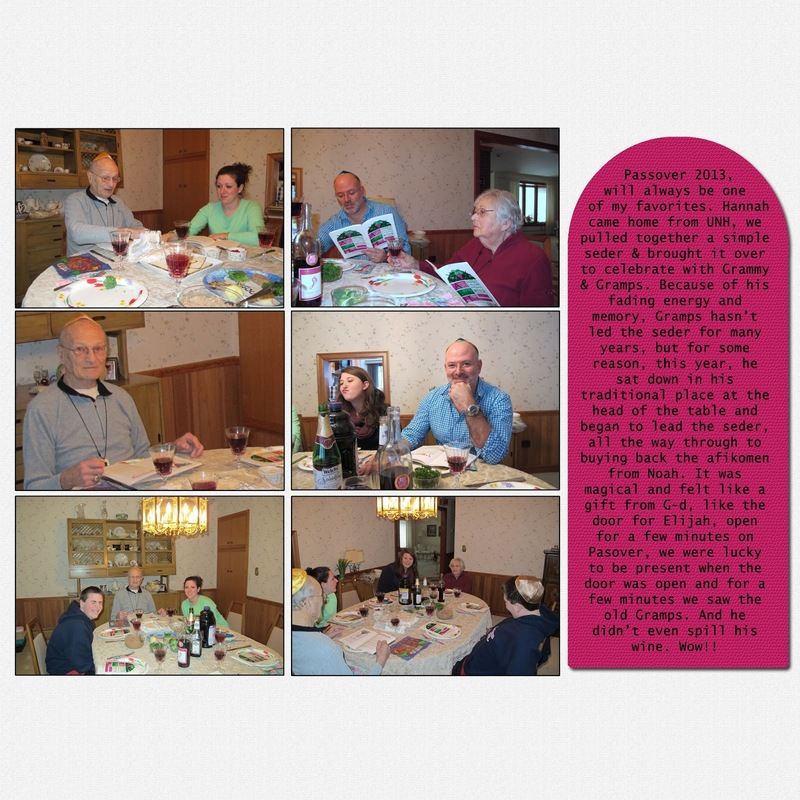 I'm sure you will always remember this Pesach! We sure will, Elizabeth. How goes the Jewish research on your husband's family? Jennifer, thanks for asking - it goes slowly as I've had a very busy month of March. I am hoping to blog about the Hungarian records I have found at FamilySearch.org soon. This is awesome, Jennifer. Glad you were all able to pull this off. What a week! Hannah does look a little nervous with Dad reaching around all those wine glasses for matzos. L'chaim! 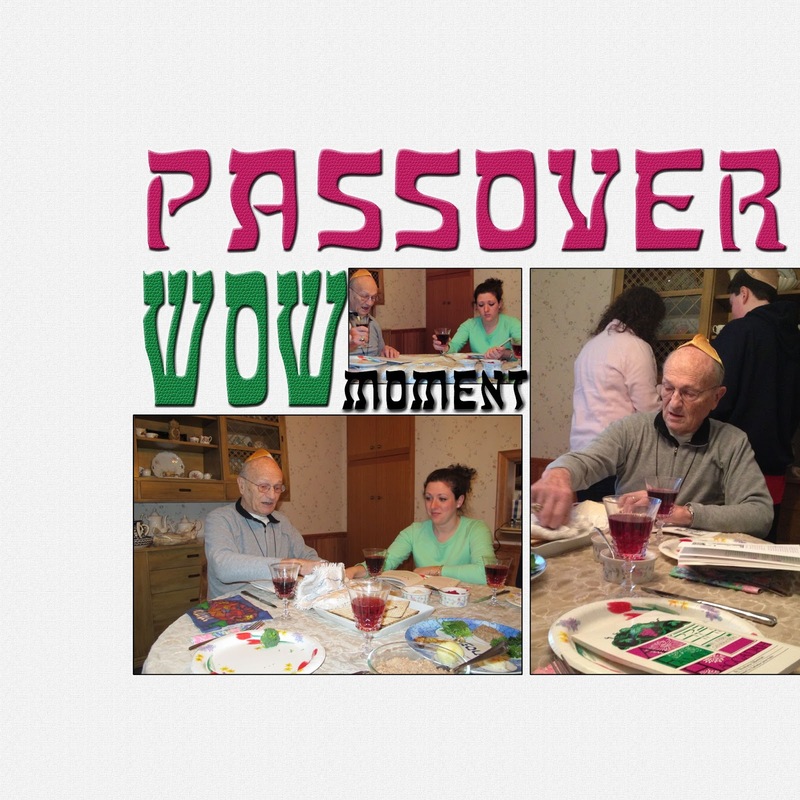 I'm so happy to hear of this happy turn of events, with your elderly father-in-law leading the Seder. And all during a time of medical challenge, as you describe it. 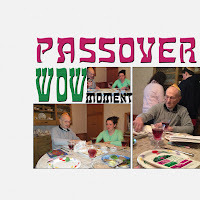 I certainly agree with you that the best WOW moments are unplanned. Best wishes for a calmer week in the future! Mariann, Thank you for your kind thoughts. Things will get better, that's what my Mom always says! Wonderful. You pulled family history and scrapbooking together and shared it with us. That's what it's all about. Thank you. And I'm so glad you had this WOW moment. Thank you Devon! 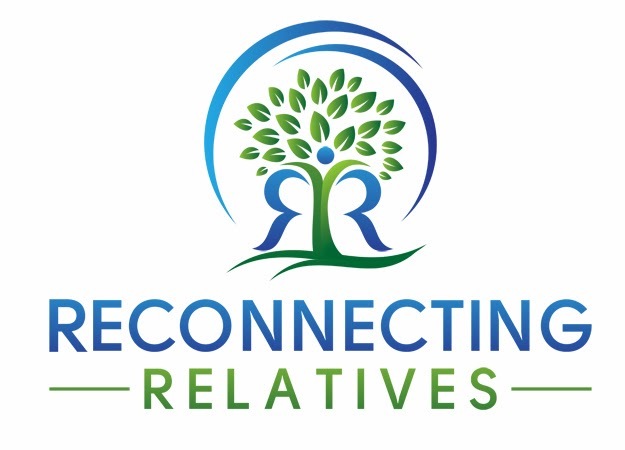 I appreciate your feedback and love your blog, A Patient Genealogist!